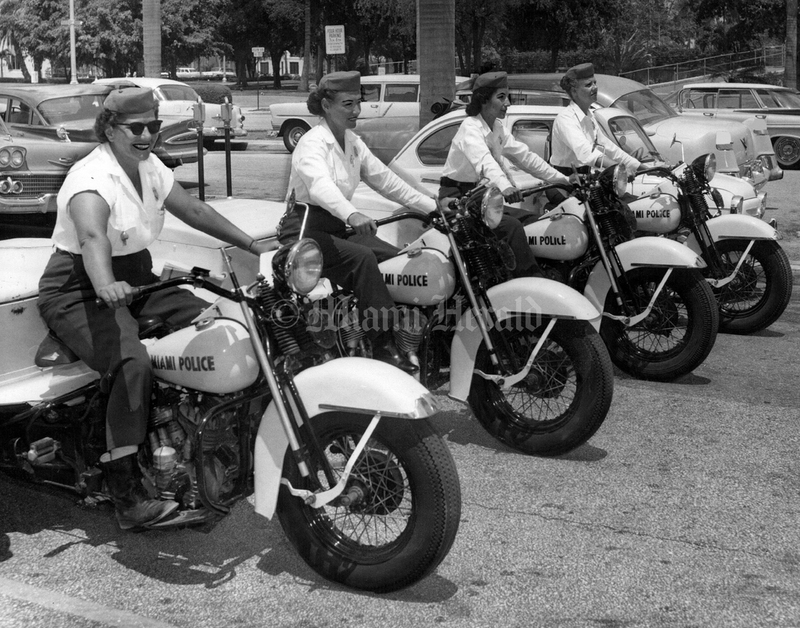 Late April of 1959, Miami launched the lady parking police force. After just 13 days on duty they were outwriting their male colleagues’ tickets two-to-one. She strips, she roars. 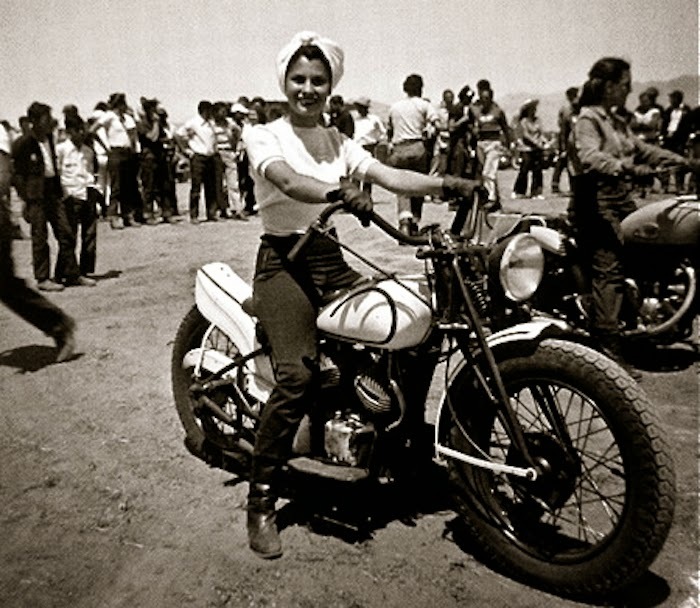 Patti Waggin, born Patricia Hardwick, was a college student, avid motorcyclist, and burlesque dancer in the 1950s. 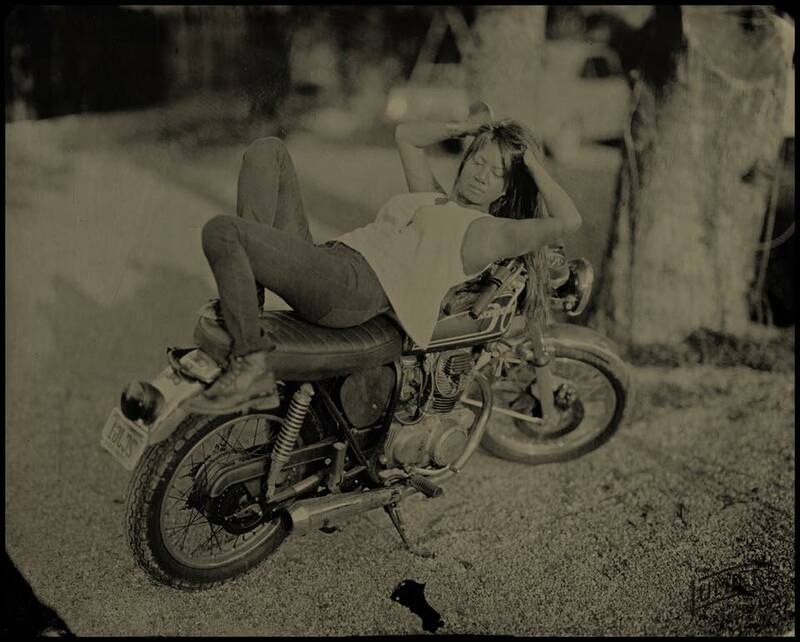 Dorian visited Lumiere Tintype in Texas for some old school portraits of with her Honda CB 360. They came out quite lovely! 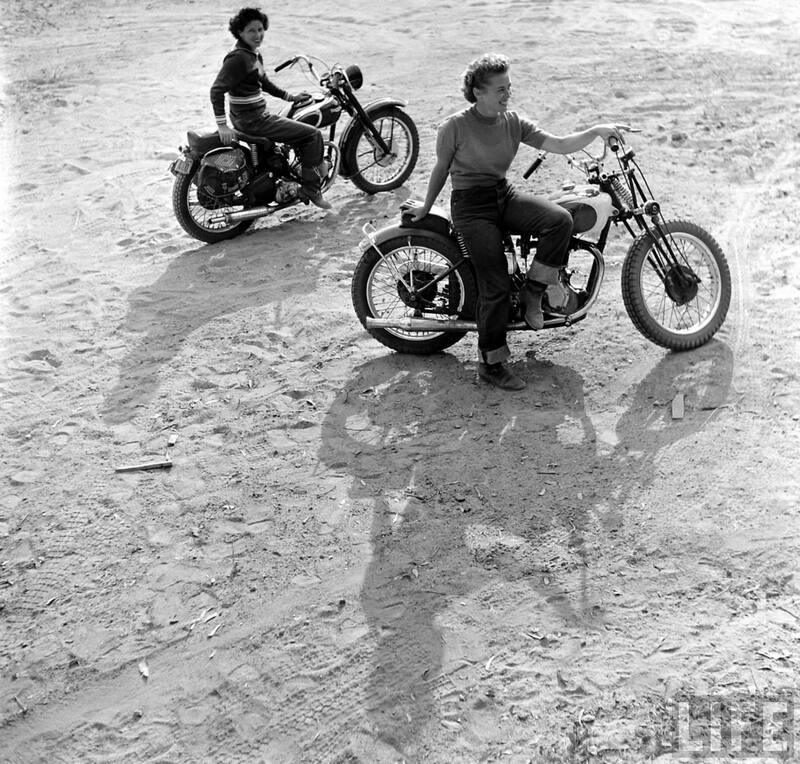 Loomis Dean lived from 1917 to 2005 and captured everything from Circus Clowns to Hollywood stars in his five decade long photography career. 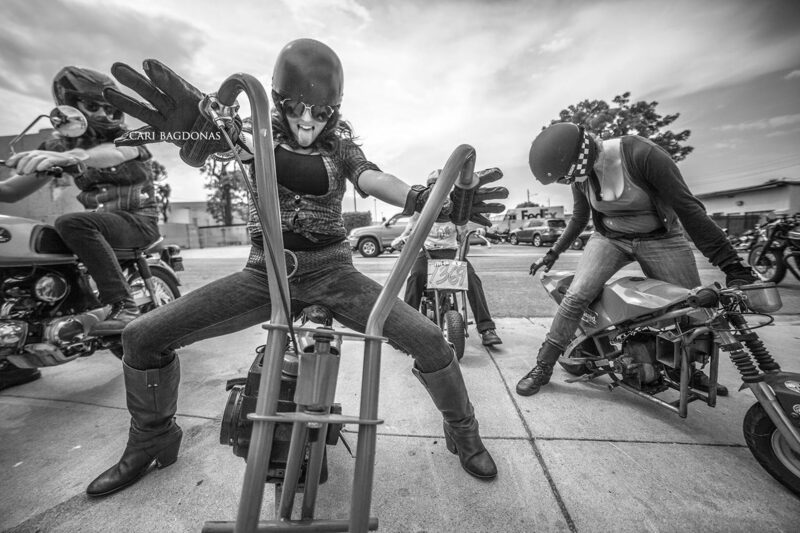 He especially loved photographing motorcycles and women, especially real women who ride. 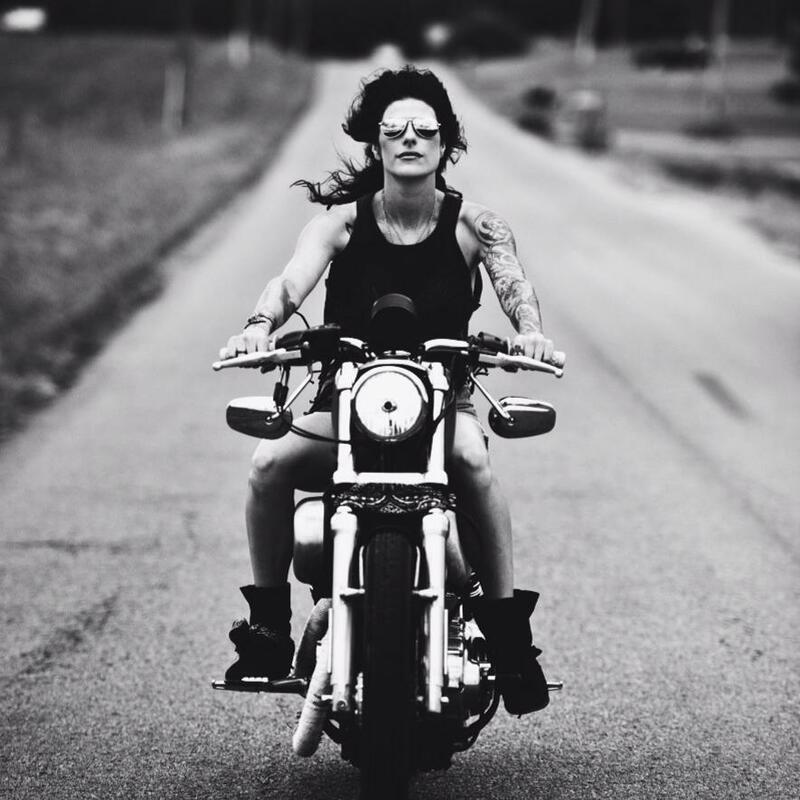 Sabrina Nova breakin’ the law, taking a little freedom ride through the Tennessee countryside on her Harley Davidson 883. A great wide angle photo of the starting line before the ladies only race at the BA Moto 2014 Mini GP last weekend in Long Beach. 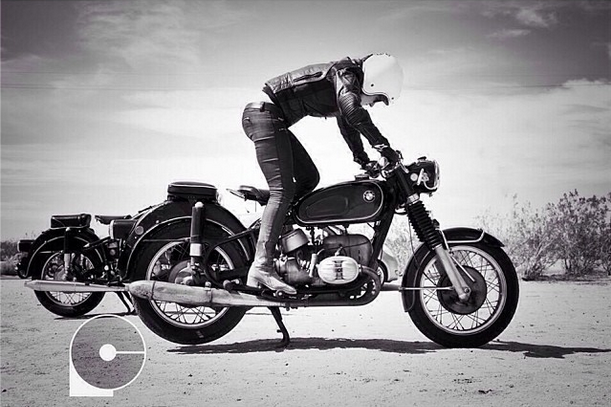 Stacie B. London with her 1969 R60US BMW motorcycle filming, “Way of Life” in Lancaster, CA.